Riding enthusiasts in Salina, Kansas, choose the professionals at Nu Image Audio for their motorcycle stereo upgrades. We have been improving audio systems on bikes since we opened in 2008, and are considered the preeminent destination for Harley-Davidson upgrades in Central Kansas. This article explains why it is best to let your mechanic service the mechanical systems on your bike and leave audio system upgrades to those professionals. We don’t do brake jobs, change your oil or sell motorcycle tires. We are mobile electronics audio experts. Our experience in choosing reliable products and installing them in a way that maximizes their performance sets us apart from dealerships or performance shops that can “do that for you” or offer pre-packaged solutions. Our understanding of acoustics, proper installation locations and wiring methods set us apart from the guys who specialize in engine rebuilding and power upgrades. Part of what makes Nu Image Audio the best choice for your motorcycle stereo system upgrades is our investment in tools and technology. We have the equipment to analyze audio signals in the electrical domain and to make acoustic measurements. If you tell us something does not sound right, we can perform tests to tell you why, rather than just guess. We have full fabrication facilities that allow us to sell solutions rather than simply bolt-on products. If you want a pair of speakers in the lids of your saddlebags, we can do that. If you want us to mount a radio in a new location, we can do that, too. Working with materials like acrylic plastic and fiberglass does not scare us – in fact, we think custom projects are a lot of fun. When you come to Nu Image Audio for an audio system upgrade, we have hundreds of options to meet your needs. We aren’t limited by audio packages for a particular year, make or model of motorcycle. We can source speakers and amplifiers from prestigious brands like Arc Audio, Audison, Rockford Fosgate, Pioneer, Alpine and Hertz. These companies focus on developing mobile audio products – nothing else. They invest thousands of hours and millions of dollars in product development and testing each year. The result is that you get amplifiers, speakers and source units that sound better, play louder and last longer than a no-name solution could ever hope to. 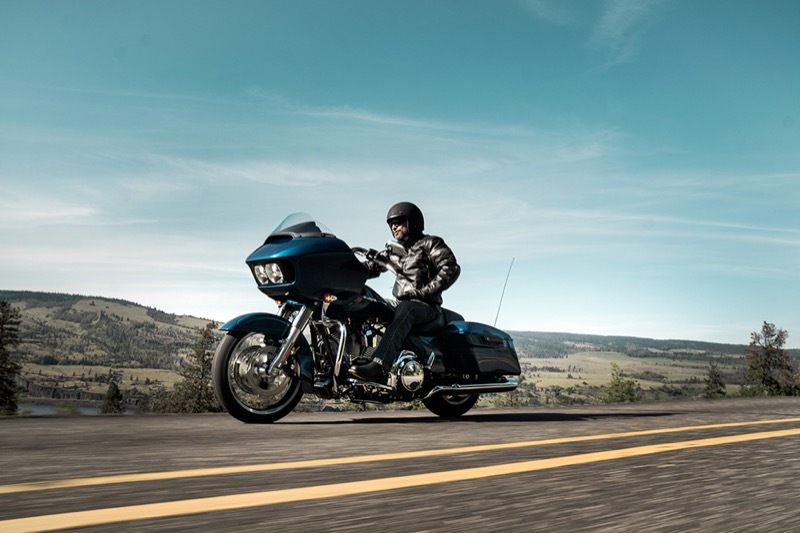 Did you know that you cannot add an amplifier and speakers to a 2014 and newer Harley-Davidson Road Glide, Street Glide or Ultra Glide without confirming how the factory radio equalization is configured? Skipping this important part of the process often results in damaged amplifiers and blown speakers. We have invested in a TechnoResearch programming module to let us configure the factory Boom! Box radio on these bikes, the same way a Harley dealership does. 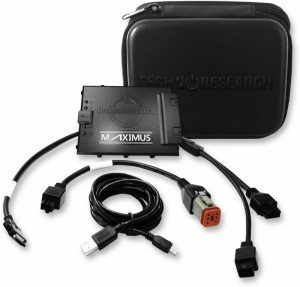 This programming module also will let us turn on the rear speaker outputs to add a Tour-Pak solution to your bike without the need to visit the dealership. 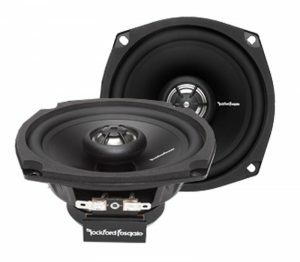 We can upgrade the components on 2013 and older Harleys to larger 6.75-inch speakers to improve efficiency, power handling and bass production. Just like the motor on your bike, bigger is better when it comes to playing music at high volumes. Our Harley-Davidson audio solutions bolt directly to the factory speaker mounting locations and plug into the OEM radio wiring. We do not need to cut, splice or otherwise alter the wiring on your bike. If it ever has to be returned to factory condition, we can do that without any signs that the system has been upgraded. When it is time to make your motorcycle stereo system sound the way it should, take a ride over to Nu Image Audio. Our team of experts would be happy to look over your bike and discuss upgrade options with you. We even have a demo bike at the store that you can audition any time. For more information about our motorcycle audio system upgrades, or any of our services, call 785-309-1617 or visit the shop at 340 South Broadway Boulevard. You also can send us an e-mail using the online contact FORM on our website.